Universal Translation Services is a US based translation company that provides certified German to English translation for immigration but also English to German (or any other language) for businesses looking to expand to new markets. If you are an individual looking for certified German to English translation or a business looking for highly accurate German translation services we can help you. 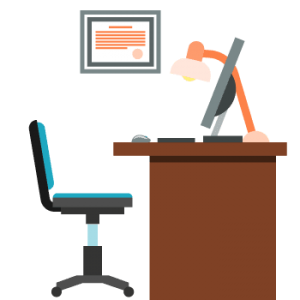 We use a full TEP process where different translators are working on translating and proofreading your translation so there is no room for errors. Our professional German translators are specialized in just about any field and will provide high quality translations from and into German, for any purpose. We always strive to provide you with some of the best rates for certified German translation services. While we may use translation memory software to offer you with a cost-effective price, we promise that professional, human translators write all translations and never to undermine the importance of quality. Regardless of sector or client-type, we understand that price is often a sensitive issue, which is why we always offer you the best rates for professional German translation services. Through our state-of-the-art QA+ project management software, we can delegate and monitor any number of translators working on an individual project. Therefore, if your German translation requirement is urgent, let our certified translation team know, and we will drive to deliver within your deadline. If you have any sorts of queries, doubts or want to know more about our services or looking for a translation quote, please feel free to contact us! We are 24/7 available to help you out. The German language is considered among the world’s imperative languages which makes it highly promising regarding the businesses, for German translators. It is recognized as the most generally spoken official language in the European Union. Globally there are approximately 105 million native German speakers, add to that another 80 million non-native speakers. It appears right after English and French among the most taught languages of the world. These figures confirm the importance of German. Are you looking for an official agency to translate your immigration documents? At Universal Translation Services we can translate your immigration documents at reasonable rates depending on the type of certification needed. Immigration rules vary from nation to nation as do the certification types for translations. You will receive an official document confirming that a professional translation agency provided the translation. Furthermore, our translation agency is backed up with ISO certification, which means that our team members adhere to the industry’s rigid quality standards at all times. UTS is a certified translation agency: our Quality Management System was audited by a licensed certification body and found to comply with the ISO standards. A certified German to English translation is a written document that has been translated from German to be used for formal purposes; the certification establishes a legal record attesting to the accuracy of the translation. 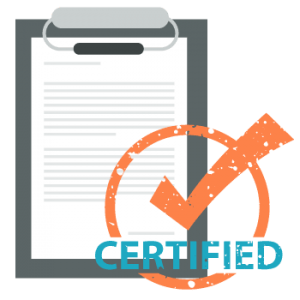 Certified translations are most frequently required by governmental organizations and agencies, as well as legal and medical entities. 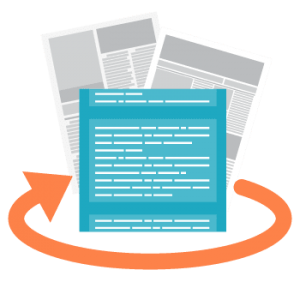 Translation certification is necessary for official purposes where it is significant that the translation did not affect the original meaning of the source document. Documents that may require certified German to English translation include academic records, adoption papers, birth and death certificates, wills, customs and immigration documents, legal contracts, medical records, marriage and divorce certificates, financial records, real estate deeds, leases, and agreements, police records, and more. If you’re planning on moving to Germany or doing business in Hamburg or Berlin, you’ll need accurate German translation services of all your necessary legal and business documents. With accuracy and rapid turnaround, Universal Translation Services should be your first choice. Germany has great business potential, and people from all over the world who are looking forward to growing their businesses would love to do so in Germany. Though, the first step to assure success in business in a foreign country is to get all your required documents and certificates translated into German. These certificates and documents would cover all the needed legal documents and advertising elements among others. If you have a business website, it would be better to translate all the website content into German because the Internet is a highly efficient way of advertising any business. UTS provides certified German translation services for medical, technical and legal documents. The German to English translation team at Universal Translation Services serves for one of the best translation agencies in the industry, and if you are looking for either legal or technical German to English translations you can trust with your eyes closed, we are your choice. Whether you are looking for German texts to be translated into English, Italian, Spanish, French, or another language, we can help. Searching for English to German Translation Services? If you need English document translation into German, Universal Translation Services is the best place for you. We have worked very hard to choose the certified German translators with the highest control of the English language. They translate into German with a full understanding of all nuances of the original language. Their output is then edited and proofread by native German proofreaders. Our experienced German translators will translate your English material promptly and expertly so that you can apply it to help your clients understand you, to market to more users or even reach more German speakers throughout the globe. Our translators will work with you to assure that our English to German translation services provides perfect results to ensure your reputation. Our goal is always to translate precisely and on time, carrying the meaning of the original text when it comes to German medical and technical translations, but concentrating on the information rather than the form when we deal with marketing translations to provide fast turnaround German translation services that sell and at a competitive price. Whenever looking for certified German to English translation services for immigration to the US or translation of business documents from and into German of great quality at low rates get in touch with us. Our project managers are always ready to answer your questions and to give you our free quote.